Above, a 2017 photo of the Crosby House Museum on campus at Gonzaga University. This was the childhood home of Bing Crosby. 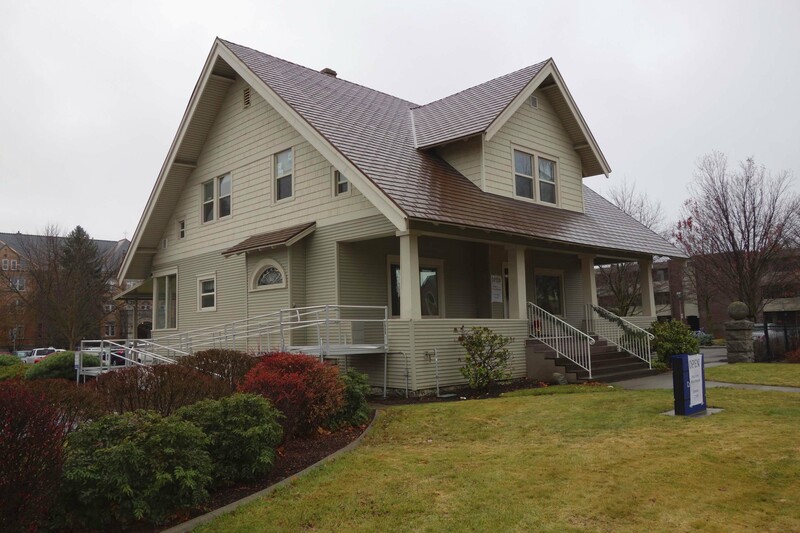 What do we know about the house Bing Crosby lived in as a boy, teenager, and young man, at 508 E. Sharp Avenue in the Logan neighborhood on Spokane’s northeast side? I had read that the home was built by Bing’s parents, Catherine and Harry Crosby, in 1913. But as a new Bing Crosby Advocates volunteer talking to visitors about the house, I have been curious to know more. For example, occasional visitors would say they thought the house was a “Sears House,” meaning it had originally been ordered through the mail from a Sears, Roebuck and Co. catalog and delivered by box car, ready to be put together by the purchaser. Kit homes such as this were first marketed in the U.S. in 1906, and by 1911 several companies produced them. The Aladdin Company and Sears, Roebuck sold the most mail-order homes over the years, but six other major companies and several smaller ones sold mail-order homes as well. 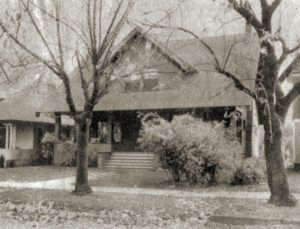 Bing’s home when the Gonzaga Neighborhood extended right up to the front doors of the University, circa mid-1900s. With a bit of research into whether the Crosby home was a mail-order home, I soon found an unexpected fact: that the home, which was thought to have been built by the Crosby family in 1913, was actually built two years earlier. That means that Bing, born on May 3, 1903, moved in as an eight-year-old. He lived here with his family for 14 years, before leaving with band mate Al Rinker for Hollywood in 1925. There are many sources which confirm the new date. Spokane County deed records show that on June 11, 1911 the Pioneer Educational Society (associated with Gonzaga College) sold Catherine Crosby a lot on Sharp Avenue, with the stipulation that a home worth at least $3000 must be built on it within five months or a $200 fine would ensue. City building permits reveal that on June 30, 1911, permission was granted to connect the new home to the water main, and that service pipes were installed by July 6, 1911. On Aug. 14, 1911 the water meter was set in the basement. The Water Department permit described the Crosby home as having four rooms on the first floor, four rooms on the second floor, and two “water closets,” or bathrooms, just as it does today. On Aug. 18, 1911 wiring and fixtures were completed in the home. Another clue to the date of construction came from the 1911 Spokane postal guide. Postal guides consist of pages from the normal city directory of that year, annotated with address changes, additions, and deletions so that mail delivery would be accurate. The downtown Spokane Public Library has postal guides for the years 1903 to 1943. The Crosbys are listed in the regular 1911 city directory as living on Sinto Street, but written over this in the 1911 postal guide is “508 E. Sharp, 8/16.” So it appears that the family began receiving their mail at the Sharp Avenue address as of August 16, 1911. The regular 1912 city directory, which was compiled in February of that year, lists the Crosbys as living on Sharp Avenue. Realizing that the home was constructed in just two months, from when Catherine purchased the lot to when mail delivery began, a mail-order or kit house seemed probable. All mail-order house materials, with the exception of the foundation and basement walls, would have come to a buyer numbered and ready to put together. But how do we determine which company manufactured the Crosby Home? 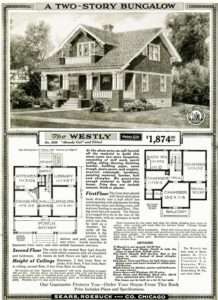 No blueprints or instruction manuals remained with the home, and I was unable to match the home’s floor plan or footprint to any of the published mail order home guides that I could find. Deed records stated that the Crosbys took out a loan with the Washington Savings and Loan Association, rather than with Sears or any other kit home manufacturer, as was sometimes done. The search through city deeds and permits did help pinpoint the building date, but did not list a kit home manufacturer as architect or seller. 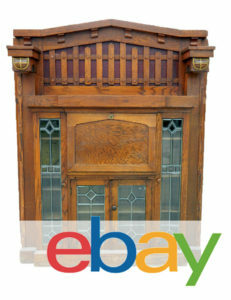 While the Crosby home is for the most part quite unaltered, with a variety of original features such as door trim, door knob plates, newel posts, and hinges, these items were usually the same from one kit home manufacturer to another and can’t be used to definitively identify one manufacturer. Above right, a 1912 photo of Bing with classmates from Webster School, which later become the Gonzaga Law School, and today, the property is the Corkery Apartments. Note back row, right, Francis Corkery was one of Bing’s classmates. 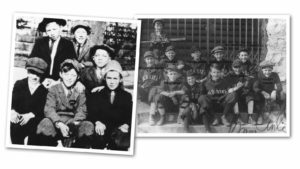 Above left, Bing and friends on Sharp Avenue, diagonally across both Sharp and Addison from his home. Photos courtesy of the Bing Crosby Collection, Gonzaga University. A final possibility was to find markings on construction materials. By looking in such places as the attic, basement, and any crawl spaces, part numbers and markings on framing boards sometimes reveal the manufacturer. Ceiling joists, rafters, wall studs, stair treads and risers might all include letters or numbers to help the builder construct the home. Each company had a unique way of lettering and numbering their materials, in the way they ordered the numbers and letters and how they marked them on the wood: some stamped them, some stenciled them, some simply handwrote the markings with grease pencil. Upon getting the go-ahead to search the basement for such markings, I returned with a strong flashlight in hand. Alas, while cob webs and dust were in abundance, markings on lumber were not. (Not all companies marked their lumber, and even among companies that did, such as Sears, they didn’t always mark their lumber!) 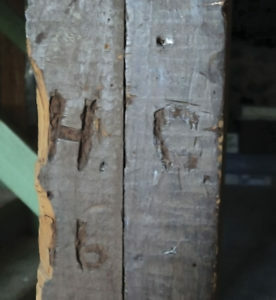 But I did find another mark of interest carved into a beam: the approximately 1.5-inch tall letters H and C, followed by the numerals 16. As Bing’s given name was Harry, these initials were most likely carved by him, either in 1916 or at the age of 16. Above, the initials, presumably, of one Harry “Bing” Crosby, either at age 16 or in the year 1916. Photo courtesy of Polly Kaczmarek. The search for information on the building of the 1911 Crosby home continues. Next, the attic! Note: The Crosby House opened as a museum in September 2014. While Gonzaga University maintains offices on the upper floor, the main floor has Bing Crosby memorabilia, photos – and even his Oscar from the film “Going My Way.” Weekday hours are 9:00a.m. – 4:30p.m. 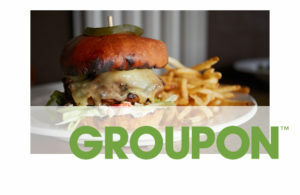 ; Saturdays 1-4 p.m. Admission free.